Eye tracking has been employed to study people’s visual attention in areas such as psychology or marketing. Interest in eye-tracking technology is also growing in GIScience, for example, when investigating users’ interaction with maps and GIS. In this talk I will introduce the new technology of mobile eye tracking, which allows for a more flexible deployment, such as in outdoor environments. We have used mobile eye tracking both for the combined tracking of an individual’s gaze and position in a spatial reference system to investigate people’s wayfinding behavior, as well as for recognizing their activities on cartographic maps. Our studies demonstrate how such approach can help to tackle research questions on spatial problem solving in novel ways. Martin Raubal is Professor of Geoinformation-Engineering at the Swiss Federal Institute of Technology Zurich. He was previously Associate Professor and Vice-Chair at the Department of Geography, University of California, Santa Barbara, and Junior Professor at the University of Münster. 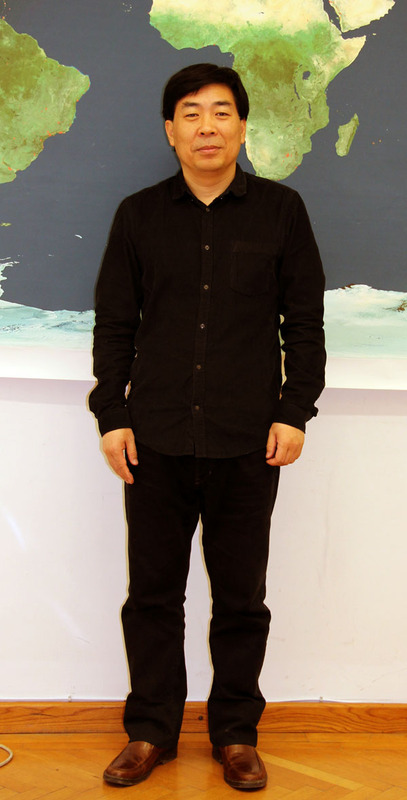 Martin received his Ph.D. in Geoinformation from Vienna University of Technology in 2001 with honors. He holds a M.S. 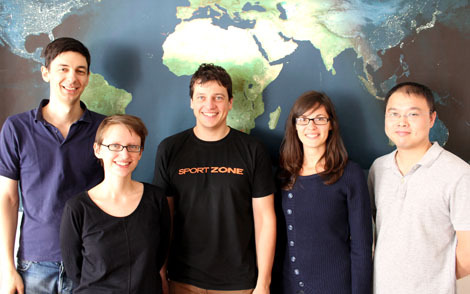 in Spatial Information Science and Engineering from the University of Maine and a Dipl.-Ing. in Surveying Engineering from Vienna University of Technology. Martin’s research interests lie in the areas of mobile GIS & LBS, spatial cognitive engineering, mobile eye-tracking, and GIS for renewable energy analysis. His teaching includes courses on GIS, cartography, geovisualization, location-based services, temporal aspects of GIS, spatial cognition and wayfinding, and research methods. Martin is currently a council member of AGILE (Association of Geographic Information Laboratories in Europe) and was a board member of UCGIS (University Consortium for Geographic Information Science) from 2008-11. He serves on the editorial boards of Transactions in GIS, Journal of Location Based Services, Journal of Spatial Information Science, and Geography Compass. He has authored and co-authored more than 90 books and research papers published in refereed journals and conference proceedings. This post was automatically fetched from geo.tuwien.ac.at. Please find the original here. 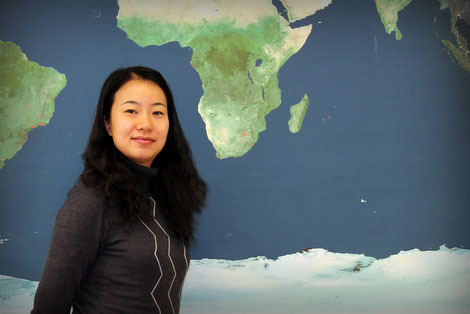 Yang Cao, our one-year guest researcher from the Spatial Information Research Center of South China Normal University, finished her stay at TU Vienna. We are thankful for the interesting exchange and wish her all the best! Zdeněk Stachoň of the research team of the Laboratory on Geoinformatics and Cartography (LGC) at Masaryk University in Brno visited our institute for a research exchange. We are happy for the insight into his work and are looking forward to a cooperation of our groups. In return to this visit, our colleague Huang Haosheng will visit Masaryk University soon! Please find details about Zdeněk’s work in the post about his CartoTalk. Yan Chaode from Zhengzhou University arrived to be with us as a guest researcher. Welcome! Guest professor Nico Van de Weghe from Ghent University arrived to be with us and our students for a lecture marathon. Prof Xia Linyuan from the School of Geographical Sciences and Planning at the Sun Yat-Sen University in Guangzhou, China, visited our university to discuss with Günther Retscher of the geodesy as well as Georg Gartner of the cartography group. 25 Students from Bergen University College are visiting our group! Velkommen! Sigita Grīnfelde from Riga Technical University, Latvia, will stay with us for an internship in the next semester. Welcome! Yang Cao from South China Normal University will stay with us as a guest researcher for one year. Welcome! Thanks to our guest lecturers! Subscribe here to get an email whenever we post news to our website. We will use your email address only for news delivery. Mail delivery is handled by FeedBurner, a subsidiary of Google. You can unsubscribe at any time. After clicking the button you will have to solve a captcha in a pop-up window and you will receive an email with a confirmation link.